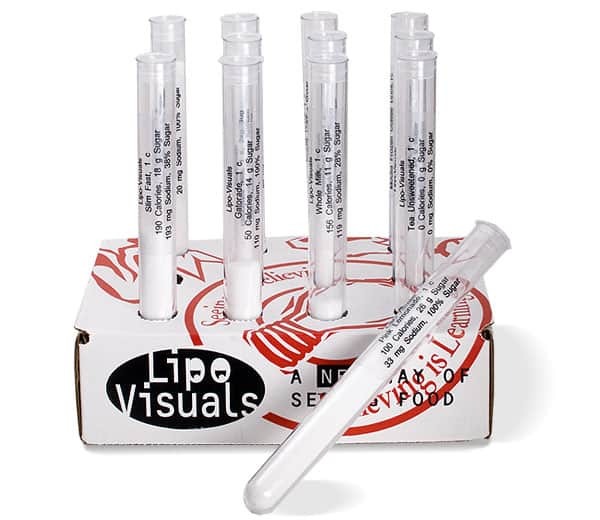 Sugar-Visuals Drink 12 Pack nutritional test tubes are a great way to “See” the hidden and added sugars contained in commonly consumed beverages. We often forget that many popular drinks have calories, and many contain high amounts of hidden sugar. The hidden sugar in beverages, along with the calories, beverage type, and amount are listed in each Sugar-Visuals nutritional test tube. The test tubes come in a sturdy box that doubles as a display rack. 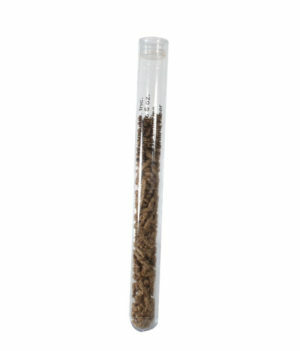 Sugar Visuals test tubes are made from a sturdy plastic that is shatter resistant. The box and sturdy tube material make it durable for many years of use. Each nutritional test tube kit also comes with an informative instruction guide that discusses hidden sugars in beverages. Share the hidden, added sugar content of commonly consumed beverages with your audience without preaching. Sugar-Visuals teaching test tubes will show a “A New Way of Seeing Food” so they will know how to make healthier beverage choices.